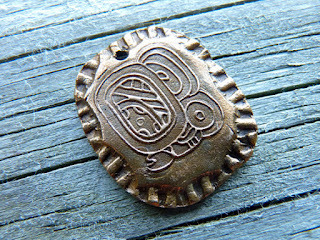 When I first became involved with designing jewelry it was pretty much a solitary pastime. If I wanted to see what others were doing then I purchased the magazines and got to where I recognized some names. I was lucky enough to stumble upon a bulk buying group almost from the beginning so I didn't have to worry about paying retail prices. What was missing was a sense of community, a place that I could go if I had a question or just needed to vent. That all changed when Creative Bead Chat on Facebook came about. 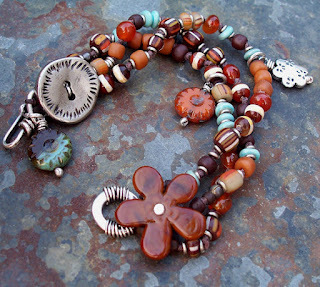 It is an open group for anyone that is involved with anything that has to do with jewelry be you a designer of jewelry, art beads or components. This wonderful group was the brainchild of five wonderful individuals; Marla Gibson, Marla James, Melinda Orr, Keirsten Giles, and Karen Totten. 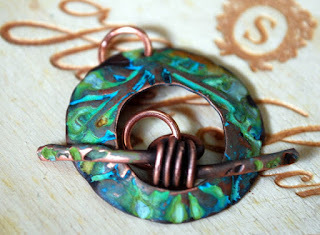 Today I wanted to highlight each person and show off some of the wonderful things in their shops or their blog. Oh and just click on any of the pictures to be taken to the item itself. Marla Gibson isn't currently running her shop due to some health issues however she has a great blog. 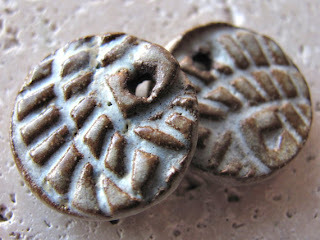 Spice Box Designs is full of some wonderful eye candy and is just flat out an enjoyable blog to read. Marla doesn't post a lot (unlike me) so it is easy to keep up with. Marla James is the proprietor of Marla's Mud. She is a clay artist extraordinaire. Just check out some of her work above. These are some of my favorites from her shop. Next up is Melinda Orr who is the proprietor of Melinda Orr Designs. 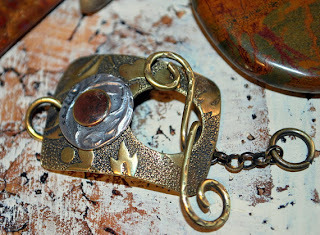 She has the most incredible clasps, and textured and/patina shapes. Above are some of my favorites. Yeah I am showing off my addition to unusual clasps. 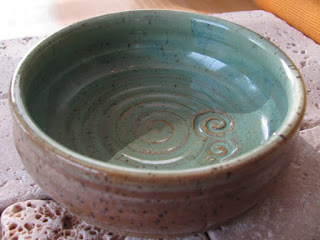 Melinda also have a blog that well worth following, Melinda Orr Designs. Yes they are named the same but the links will take you to totally different places. It is full of all kinds of eye candy. Karen Totten is the owner of Starry Road Studios. Just the name brings to mind laying in a field of clover and stargazing. 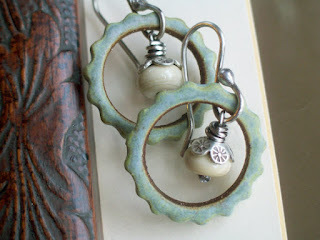 Karen does all kinds of wonderful things with ceramics such as beads, charms and gorgeous pottery. And be sure to check out her metal charms. And here are some of my favorites. Kiersen Giles is the designer behind Lune Designs. She makes some truly beautiful one of a kind pieces of jewelry. Above are my favorites. Don't they just make your mouth water? 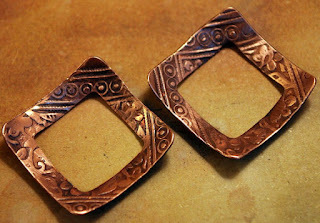 Now since you have stuck with me so far, I am going to be doing a giveaway of one of Melinda Orr's beautiful clasps or if you would prefer a pair of earrings that I have designed. 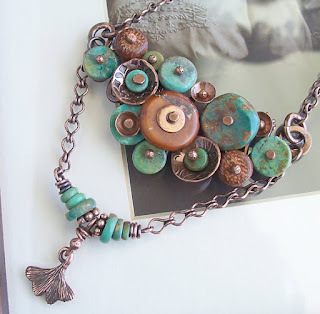 Great post... love the pieces you chose Shaiha! Beautiful post...thanks so much for sharing! !Looking forward to seeing more of your designs! Super job and oh so CBC to include a give-away from the oh so talented Melinda! Nice post! Love the pieces that you featured.